Is testosterone therapy safe? Also called TRT, with the right licensed doctor prescribing injectable testosterone medications and medically supervising a patient who is diagnosed as having low T, testosterone replacement therapy can be very safe. It can also be very effective. The February 2014 edition of the Harvard Men’s Health Watch shared that although legitimate concerns about testosterone replacement therapy safety are still being pondered and questioned, there is no hard evidence that TRT is not safe. There is no confirmation that it can cause cancer or cardiac heart issues. In fact, the evidence is overwhelming stating all the positive benefits of this kind of treatment when done properly with the right medical monitoring. With any medical program you engage in, make sure you are doing it correctly with the right professionals monitoring your experience. When it comes to TRT, using bio-identical, real, authentic and 100 percent pure injections, there will have to be a multitude of long term studies done that say it is not safe before it can be considered as something worth worrying about. At this point, all studies point to the fact that testosterone replacement therapy is safe. There are definitely things that one can do to ensure their safety while on a testosterone replacement therapy program too. Keep reading to see what you can do to make sure that you have a great journey with remarkable TRT results. 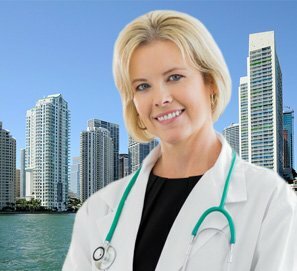 Only use a clinic that has a great reputation in the medical field and that comes highly recommended and suggested by other patients and professionals. By asking around to different physicians, you will most likely be told about our clinic, HT Medical Center. We are known by most medical doctors who understand how hormones affect the body and how low testosterone can cause some truly life altering symptoms. 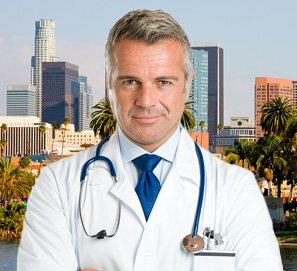 If you cannot find a past patient of testosterone replacement therapy who can give you a good review, you can still do your own research and due diligence to read everything you can about the clinic. Call the clinic using their toll free phone number and request a free first initial consultation with one of their expert clinical advisors. 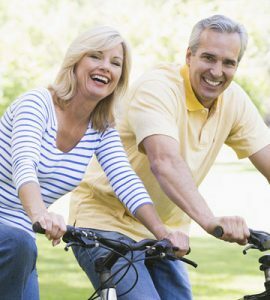 Ask all the questions you have regarding TRT, how it works, what is involved in the testing process, how safe is testosterone replacement therapy and any other questions you may have about this kind of treatment. Advisor should be very happy to answer your questions and to make you feel comfortable with your decision to begin therapy with them. 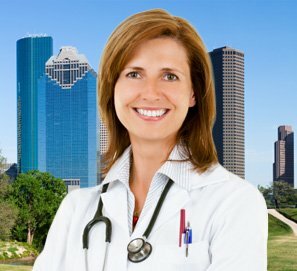 Make sure the clinic only works with people who are over 30 years old. Make sure they do not work with athletes looking for physical enhancement or with people simply looking to lose weight or to gain sexual stamina, potency and ability to perform. Testosterone replacement therapy is not for these uses. It is not a weight loss program. It is for those who have clinically low testosterone levels only. Is testosterone therapy safe to use for weight loss, sexual or athletic enhancement? We will say no and never advise a patient to use injections of testosterone. For this reason only. Never purchase injections from overseas, from personal trainers, gym goers or the online black market. Why not? You never know if what you are getting is real. If you get inauthentic or fake medication, this could mean the solutions you spend your money on are potentially very harmful. In addition, it is illegal to buy testosterone injections without a prescription. Using testosterone injections without having a low T deficiency can be very dangerous. Putting too much of this hormone in the body without knowing what your levels are can be very risky and dangerous to the both the mind and body. It could create some truly terrible negative side effects. 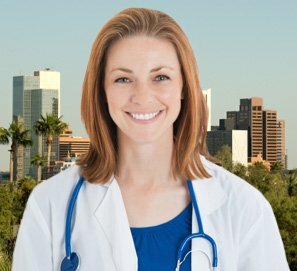 Make sure the clinic you choose requires testing to take place in a clinic within your home city. Testing will involve a blood sampling, a physical exam and a medical history. The clinic’s advisor will set your appointment up for you with a qualified clinic or lab. Make sure that your testing results will be sent back to the clinic for a complete and thorough analysis by their licensed doctors. By reading blood test results, doctors can tell if testosterone levels are low and depleted. By reading physical exam and medical history results, a doctor can tell if the patient is in otherwise good health enough to become part of a testosterone replacement therapy program safely. The doctors at the clinic will diagnose and prescribe the correct dosage of medication after understanding exactly what the patient needs for their individual symptoms. Make sure the clinic only uses the best top quality testosterone medications. They should only prescribe injectable Testosterone Cypionate or Testosterone Enanthate. Only on occasion will the clinic prescribe Testosterone Propionate. Doctors will provide medical supervision throughout the entire course of therapy and advisors will be available for questions or concerns during their normal business hours. Advisors will also teach patients how to live a healthy lifestyle. This is a very important and large part of the therapeutic process. 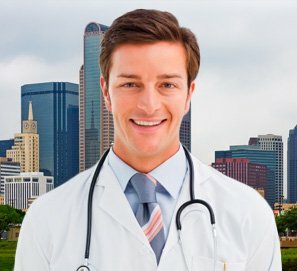 Learning to eat well and make good nutritious choices, to exercise on a daily basis, to sleep at least eight hours per evening, to keep stress levels low, to never smoke and to keep alcoholic consumption to a moderate level is all part of getting positive results safely and quickly with testosterone injections. Is male testosterone therapy safe? When following and adhering to the above guidelines for testosterone replacement therapy, treatment should be extremely safe. Patients should not experience negative side effects. Problems using testosterone injections under our medically supervised program at HT Medical Center are very rare. We pride ourselves on caring for each and every one of our patients and delivering the best customer service possible. We always advise our clients to call us immediately if they feel anything out of the ordinary occurring while they are taking their injections. We will give a full education on injection preparation and self administration. We will offer online videos that show in detail how to reconstitute solutions and deliver the medications into the body. We never want to leave a patient with questions. This is why our staff is always readily available via telephone using our toll free phone number for our patient’s needs. This is why we welcome questions or concerns and always encourage our patients to be extremely responsible and committed to their TRT program. Why? So that they can always answer yes to the question; is testosterone replacement therapy safe.